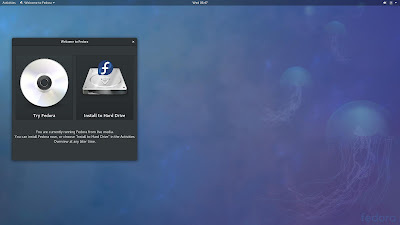 Fedora is one of the operating systems that users wait regularly and with big interest. 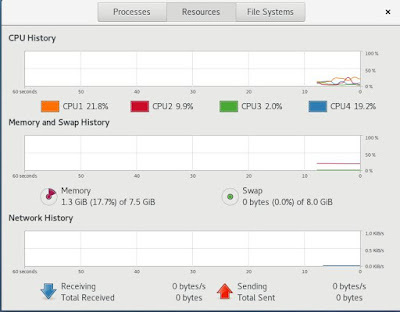 Fedora is a playground of new technologies that will later come to RedHat and its derivatives like CentOS. Fedora 27 has been released on the 14th of November 2017. 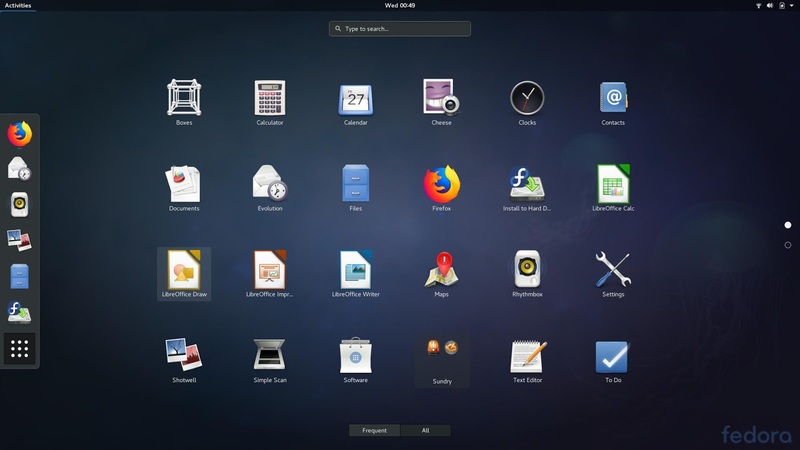 Let's have a quick whistlestop tour through the GNOME version of this operating system. When the boot process starts, you are asked about the choice: try or install. The welcome screen has no icons, but only a black panel at the top. The wallpaper is in deep-blue tones with a Fedora logo in the bottom-right corner. 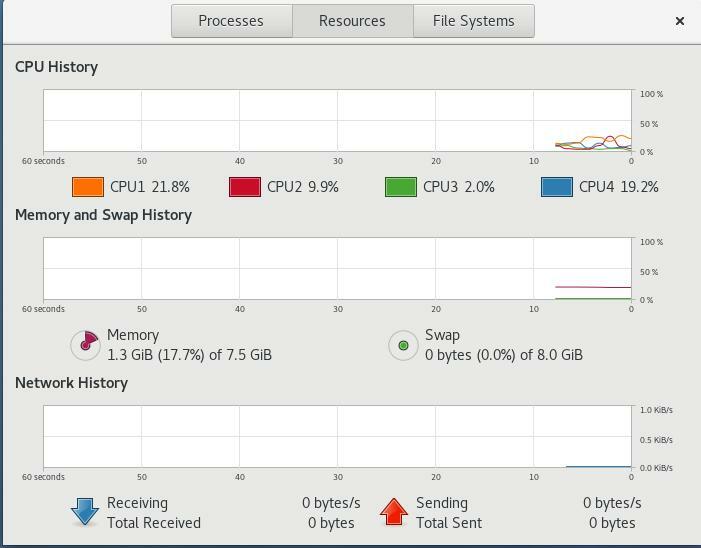 Freshly booted system takes about 1.4 Gb of memory, which is way-way-way too much! The menu in Fedora 27 is not too long. The Activities section of the menu contains the list of active windows, if any. 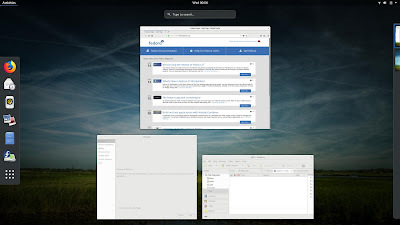 The applications in Fedora 27 GNOME only have a Close button on it. 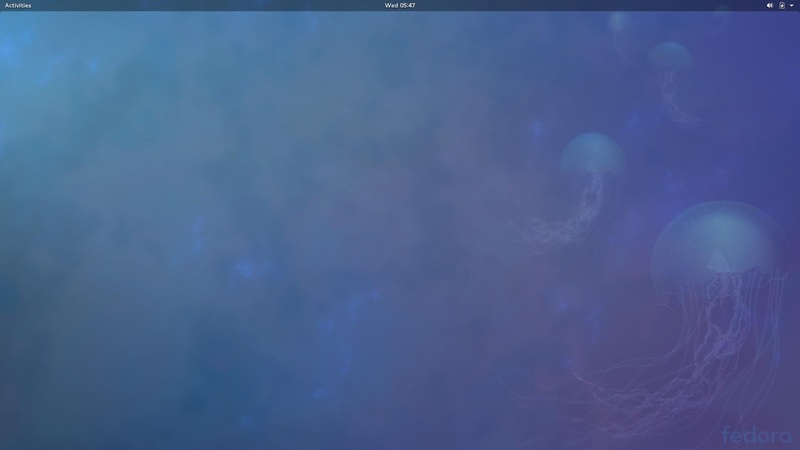 There are no Minimize or Restore buttons. You will need to add them yourselves using the 3rd party tools. 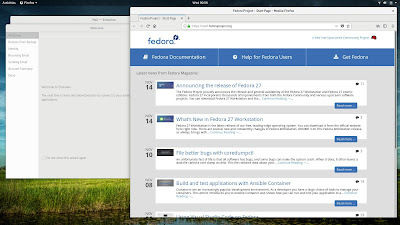 Do you want to try Fedora 27 yourself? 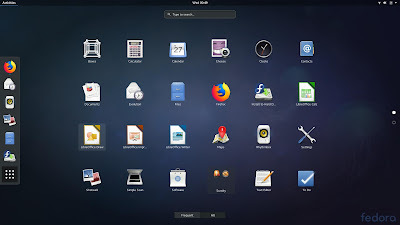 Why not order a disk with this operating system from the BuyLinuxCDs.co.uk site?